It’s been a busy year so far as we’re preparing our home ready for the next Artists Open House. For those of you who visited last year you can look forward to seeing a different part of the house in May 2019. We will be opening the whole of the ground floor. If you did visit last year you may not recognise the house from the street as we have a new front door with a custom made leaded window. This new entrance leads you into the house and through into the two formal rooms with their high ceilings and grand fireplaces. From here you journey through the victorian styled inner hallway to the more informal kitchen/dining room at the back of the house. This will give you access to our walled garden and the sounds of summer tennis in the neighboring courts! To compliment this setting we have invited a selection of guest artists to display their works of art, giving you variety and choice, a perfect opportunity to browse in the cool of a Victorian Villa. Our artists are from near and far - some of them you will recognize from last year’s Hove Arts Trail but some are completely new to Hove. 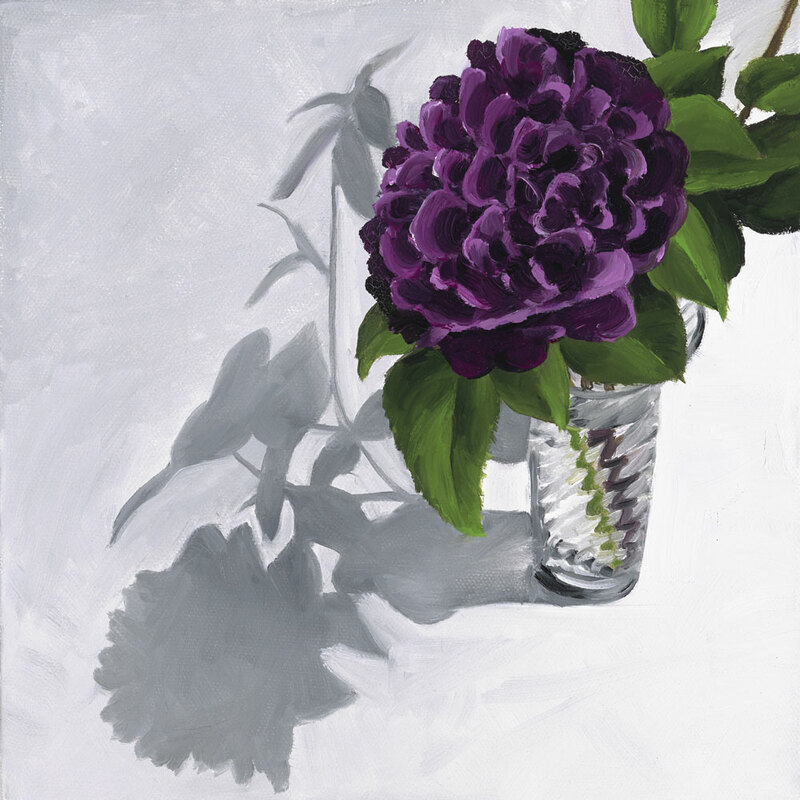 There will be a wide selection of our striking floral paintings on display. You will be able to see the original oil paintings, some with hand-finished frames, and also a selection of framed and unframed prints. Displayed in a home environment you may well see something that takes your eye from the choice of peonies, poppies, lilies and dahlias, to name just a few. We are also very pleased to be displaying the work of this award-winning wildlife artist. Gary is an old friend and a new resident of Hove. His work has an international following and he often donates art pieces to raise much needed funds for wildlife charities. We personally own a selection of Gary’s artworks that are now out of print but will be on display alongside his more recent work, which will be available to buy. Another familiar artist to many locals is ceramicist Tessa Wolfe Murray whose open house in Lorna Road has been a ‘must see’ in previous years. This year Tessa is taking a break from opening her own house and is happy to have Art in Bloom host her work. Tessa will have a selection of ceramics, including her botanically inspired vases and her very stylish ceramic jewellery. A handmade paper and mixed media artist, who has opened her house in Hove Park Villas on many previous Open House trails. Jill has now relocated to York but promised us last year that she would honour us by being our guest this year. Jill’s work is a creative interpretation of the world she sees, both natural and man-made, and we are very much looking forward to seeing her latest work inspired by the move to her new location. Local textile designer StephieAnn creates beautiful silk items adorned with her own floral designs which are inspired by poetry. These beautiful ethereal items have a sensual texture and an intensity of colour that is quite stunning. Stephie will be displaying a selection of scarves, t-shirts, sleepwear and lavender bags. These are items that have to be touched to be appreciated! We are proud to be displaying the intricate work of bronze figurative sculptor Robyn Neild. From Folkestone, but pleased to be joining us here in Hove, Robyn creates the most delicate metal works of art. Her long limbed figures have a fluidity to them that belies the rigidity of their very fabric while her botanical works look soft and pliable but are seriously spikey! 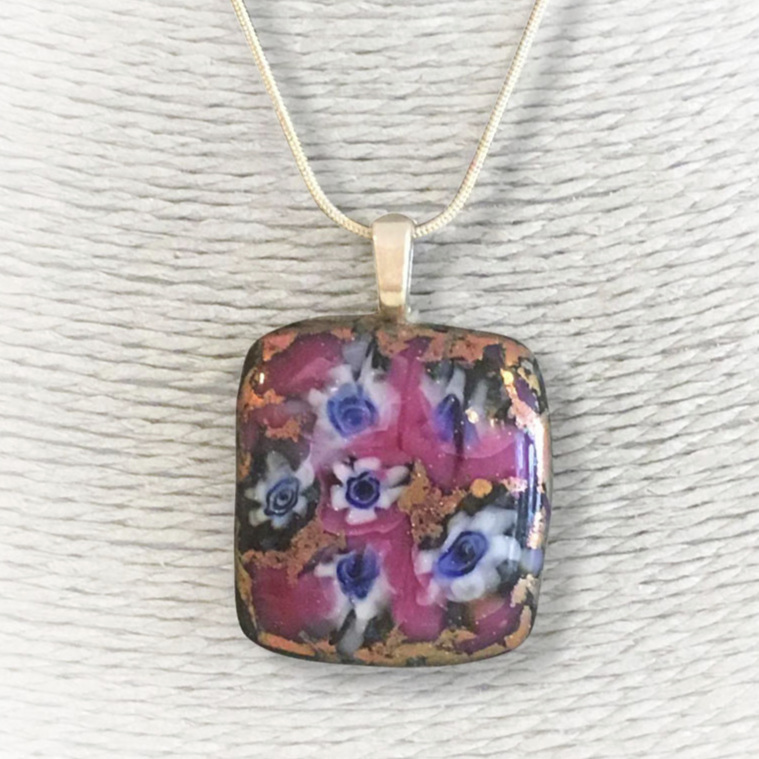 Local ceramicist Zoe has been working on a unique range of floral inspired fused glass jewellery especially for our open house. These unique pieces will be available in different colours and shapes and promise to compliment any outfit. Zoe also creates beautiful organicly styled ceramics with metallic highlights and subtle textures which will also be on display. Our location, venue 20 on the Hove Trail, is just minutes from Hove station and is very close to seven other open houses, which gives you a chance to spend the day browsing art. If you are planning to drive in there is parking available in Wilbury Avenue and the surrounding roads (metered). Our house, Art in Bloom, is open from 11am – 6pm, every Saturday, Sunday and Monday in May, including the Bank Holidays. Our artists will only be available some of the days, so if you specifically wish to meet an artist please contact us to find out their availability. However, when they are in residence, some of them are hoping to get creative. Tessa will be making buttons, Stephie will be embroidering and I am hoping to set up an easel and do some painting. As a special bonus, any visitor who signs up to our mailing list, or is already on the mailing list will receive a free pack of 4 greeting cards with our compliments (only one pack per person). We look forward to entertaining you in our home and to allowing you the time and opportunity to peruse the artworks on display. We will have refreshments available, including cakes and biscuits from Vivalosvegan, and soft seating for those of you who are spending the entire day visiting the open houses!